March 14, 2016 – Rockford, Illinois – GDS, a world leader in display solutions for indoor and outdoor displays, today announced a 54”, A0 size, Color Digital Poster based on E Ink® epaper display technology. The new epaper display is part of GDS’ e-Tela™ product family and can be used in any indoor or outdoor application, opening up many options, not previously possible. 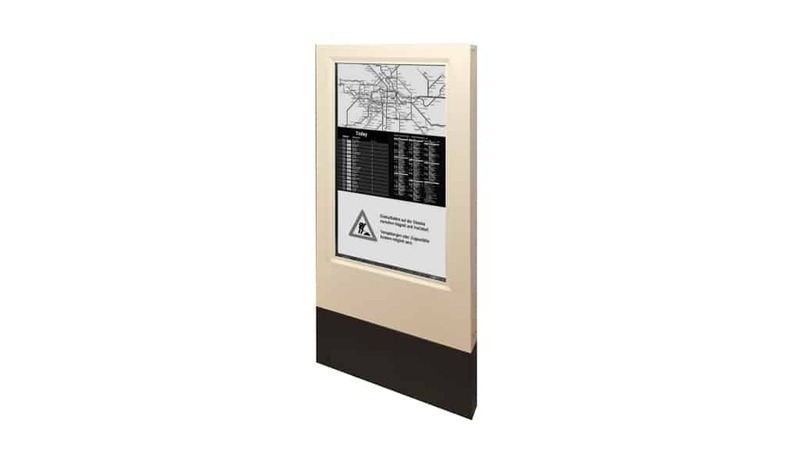 The epaper display can be directly powered or Solar powered, reducing the infrastructure build out costs. This new product is ideal for menu boards or timetables in public areas. The 54” display consists of 3 tiled 32” E Ink displays using GDS’s G+Bond® technology and G+Natural-light™ technology. G+Bond create a seamless display that is suitable for any indoor or outdoor environment. G+Natural-light gives the display a uniform front light making the display ideal for use at nighttime as well is in full sunlight, taking full advantage of the characteristics of an E Ink display. E-Tela large format displays are very low power, completely fan-less, sunlight readable, and ultra-thin, making them ideal for harsh outdoor applications in transportation, QSR, retail, road signs, price signs, gas stations and other DOOH applications. 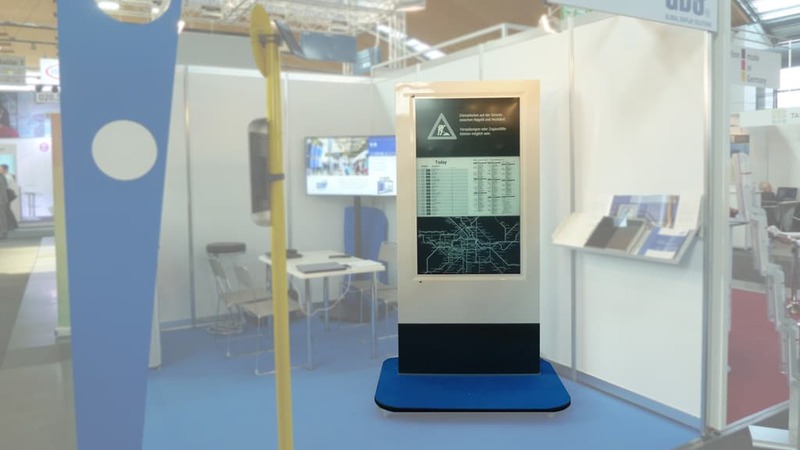 The display is a result of the Joint Development Agreement (JDA) between GDS and E Ink. GDS entered into the JDA because it is strongly committed to eco-sustainability and aims to translate epaper capabilities into commercially effective, large format epaper display solutions. The Color Digital Poster has a resolution of 1280 X 2160 with 94 DPI and measures 27.75” wide by 47.25” tall and replicates an A0 size poster. The A0 Color Digital Poster as well as other GDS and E Ink products can be viewed at the E Ink booth (#2237) and at the GDS booth (#822) at the Digital Signage Expo, March 16-17, in Las Vegas, NV.